Nautixx and Jongert Shipyards of Wieringerwerf the Netherlands have agreed to a co-operation in which forces are joined to promote Jongert Shipyards and its premium yachts in Southeast Asia. A 50 knot or 90 kilometers per hour boatride cruising the unique Andaman sealine of Phuket or Phang Nha Bay, is an experience you will never forget. It is all about getting away from it all at full speed while enjoying all the fine luxury a superb high spec motor yacht offers you. Chilling down afterwards with a splendid champagne enjoyed with friends or family. On board or back at the Marina in one of the many top restaurants. 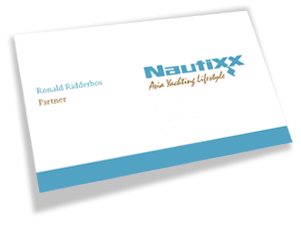 Nautixx services are personal, tailor made and will exceed your expectations. Thailand's cool season runs from November until the end of February. With its low humidity, relatively low temperatures and clear skies, the cool season is the best time to visit. 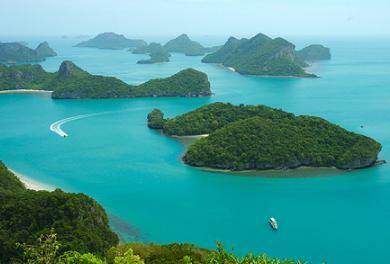 However Thailand's unique climate ensures yachting is very enjoyable 365 days per year! Phuket is as colourful as it is cosmopolitan and one of the world’s most famous dream destinations. Phuket (poo-get) boasts some lush inland vistas, including a few remote swathes of rainforest on Ko Yao, but the island really comes into its own along its western shoreline, where green foliage meets the turquoise waters of the Andaman Sea. The mile upon sandy mile of coastline boasts tons of water sports, delectable restaurants and resorts. In fact, travellers named four of Phuket’s hotels among the world’s best in a recent magazine poll. Modern Phuket is also a shopping paradise as it offers high class shopping malls as well as little specialised boutiques.